The Kelowna Chamber is pleased with a few aspects of the Federal Budget but like many other Chambers across the country, the local Chamber sees it as a missed opportunity to move forward on bold changes to the tax code that the national network had been calling for. There was confirmation that the Federal Government intends to make changes to make it easier to move wine and spirits across provincial borders but that positive move is tempered by the fact the provinces can still use their authority to put up trade barriers if they wish. 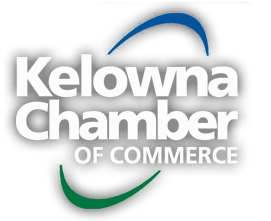 The Kelowna Chamber raised the issue at last year’s Canadian Chamber AGM and was pleased Minister Morneau recognized that call both during his fall fiscal update and again in tabling the 2019 budget. The Finance Minister also announced a $2.2 billion dollar top up of infrastructure funding which will help local governments address major infrastructure deficits. Hopefully that will allow Kelowna’s municipal government to provide a bit of a break on future property tax hikes for businesses that are on average likely to see a minimum 4% hike in their local property tax bill this year. The election-year budget addressed financial security, skills training, younger home buyers (they can tap into $10,000 more from their RRSP funds and use a new first-time buyers program through CMHC – basically a Federal loan – no changes in the stress tests). Pharmacare is just a plan to be a plan; highest budget item is spending on Indigenous services ($8.1B/five years). This budget skews directly toward attracting younger voters, no bad thing. The 2019 federal budget fails to address the fundamental issues undermining the ability of Canada’s business owners to create more jobs and economic prosperity for all Canadians, according to an analysis by the Canadian Chamber of Commerce. Multiple funding mechanisms to ensure that high-speed internet access is Canada-wide by 2030. A commitment to a comprehensive review of taxation system to make it fair and less cumbersome. Other Budget 2019 proposals require more consideration and details before determining the impact on businesses, that the Chamber will be studying in the Budget in more depth. The Budget identified funding programs to develop “regulatory roadmaps” to address stakeholder issues and irritants. While these efforts align with the Kelowna Chamber’s interest in reducing the regulatory burden on Canadian businesses, the Budget proposals unfortunately maintain a lacklustre, made-by-government solution to a made-by-government problem. The new Canadian Training Credit and EI Training Support Benefits to support the up-skilling and re-skilling of Canadians align with the Kelowna Chamber’s recommendations. However, the potential impact on small businesses remains unclear. The Budget offered little new information regarding the national Pharmacare plan. The Canadian Chamber network has noted that any national Pharmacare must be sustainable; it must leave in place the comprehensive coverage already offered country-wide by private – group plans. (86% of Canadians surveyed recently said they are satisfied their private/group insurance has made medicine affordable - Abacus Data, 2019) The Kelowna Chamber supports focusing on the 10% of Canadians who are uninsured or underinsured. The Kelowna Chamber supports making the Global Talent Stream program permanent. The Chamber would like to see the program include a focus on bringing skilled immigrants to rural communities. QUOTE FROM THE HONOURABLE PERRIN BEATTY, President and CEO, Canadian Chamber of Commerce. The core issues facing our economy which are driving away investment and suffocating our ability to attract top talent include broken taxation and regulatory systems and an inability to get our resources to tidewater. Without addressing the underlying, structural problems in our economy, we will not see the growth needed to create greater prosperity for Canadian families.